Setup unified comms on your laptop, desktop, and mobile devices. 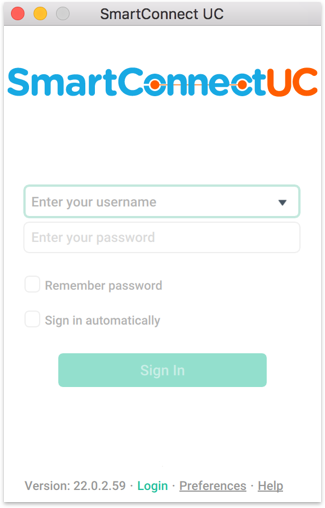 SmartConnect® UC boosts the functionality of your business phone system and extends it to multiple devices. 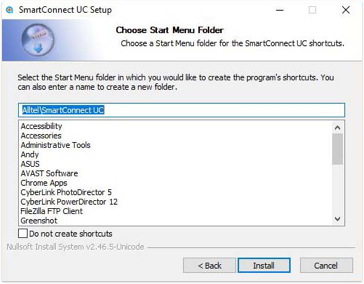 Follow the steps below to setup unified comms on your mobile, laptop, or desktop. 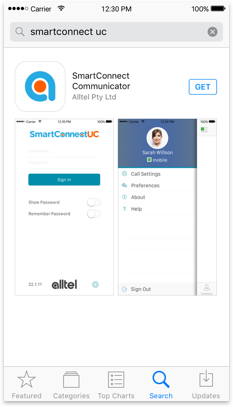 Download the SmartConnect® UC app for iOS here or search SmartConnect UC on the App Store and click ‘Get’. 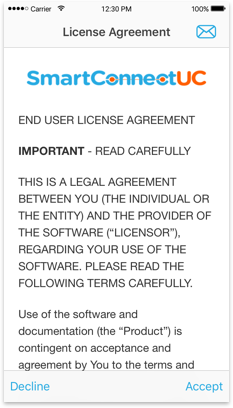 Launch the app and accept the License Agreement. 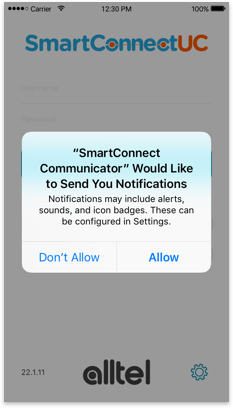 Enable app notifications by selecting ‘Allow’. 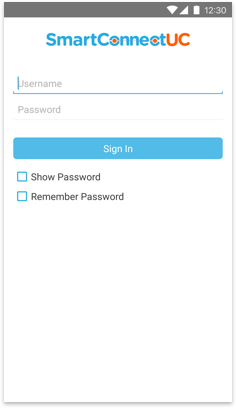 Log-in to the application using the credentials previously provided by Alltel through email. 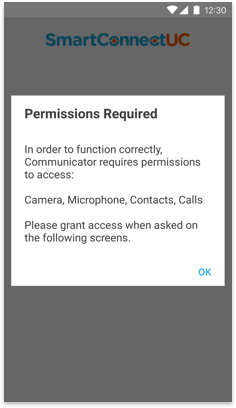 Select ‘OK’ on all prompts to allow access to your contacts, camera, mic, etc. 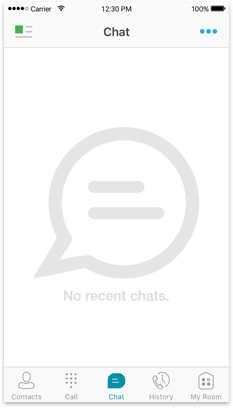 Your SmartConnect® UC mobile app will go online, and you will be automatically directed to your chat list. 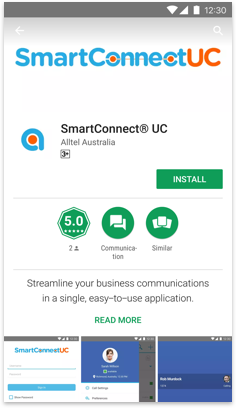 Download the SmartConnect® UC app for Android here or search SmartConnect UC on the Google Play Store and click ‘Install’. 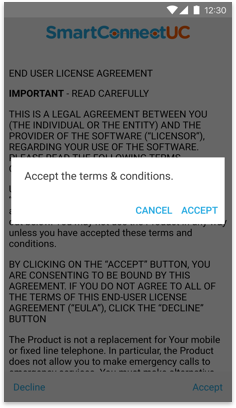 Once installation is complete, launch the app and accept the Terms and Conditions. 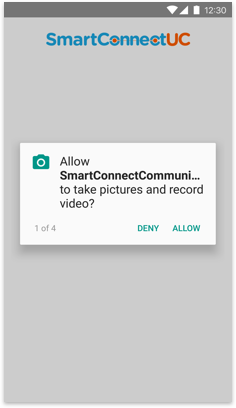 Select ‘OK’ and ‘Allow’ on all Permissions prompts. 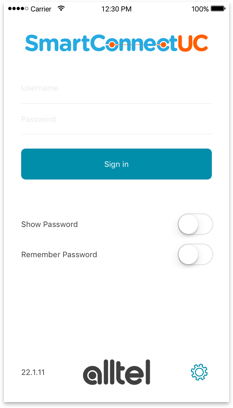 Tap the green icon on the left side of the screen. Once a summary of your profile appears, click on your name. 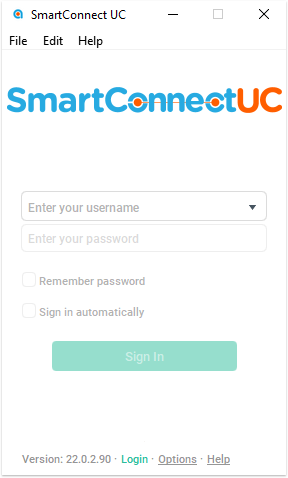 Select ‘Mobile’ to go online and start using the SmartConnect® UC mobile app. 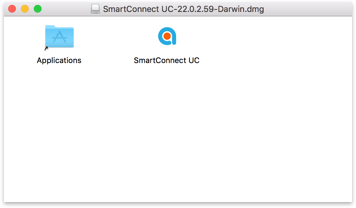 Download the SmartConnect® UC Desktop Client for Mac. A new window containing the installer file should appear. 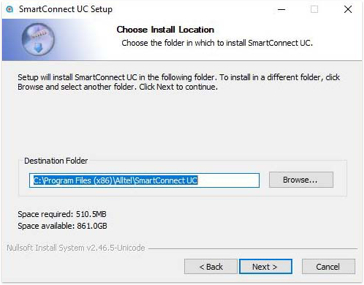 Drag the SmartConnect® UC file to the Applications folder. This will automatically install the desktop client. 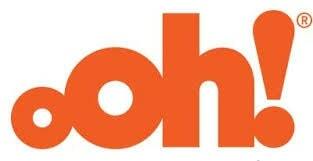 Open your Launchpad. 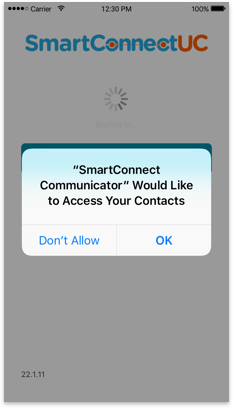 You should be able to see SmartConnect® UC added to your applications. 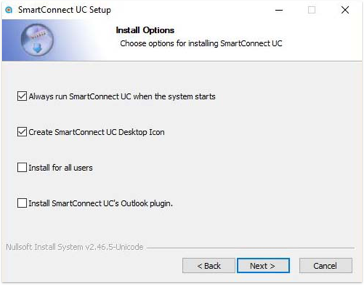 Click on the app icon and select ‘Open’ to launch the SmartConnect® UC Desktop Client. 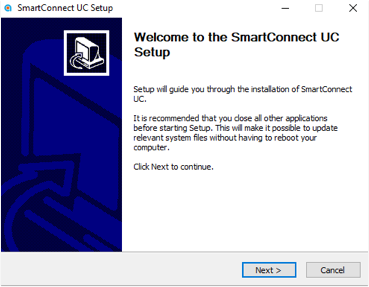 Download the SmartConnect® UC Desktop Client for PC. 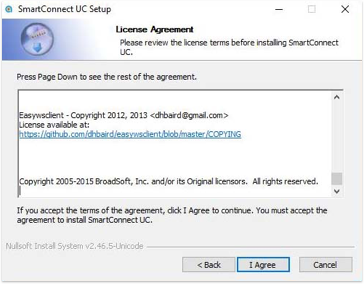 Click ‘Yes’ to confirm the installation. 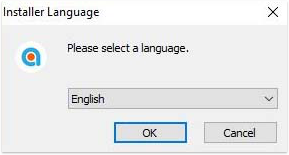 Select a language and click ‘Next’ on the Welcome screen. 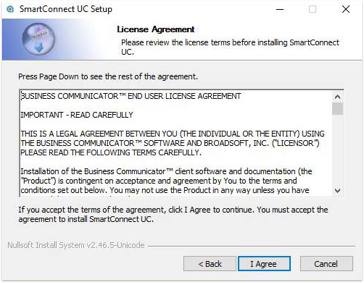 Click ‘Agree’ to accept the License Agreement. Use the default Install Options and Install Location by clicking ‘Next’. 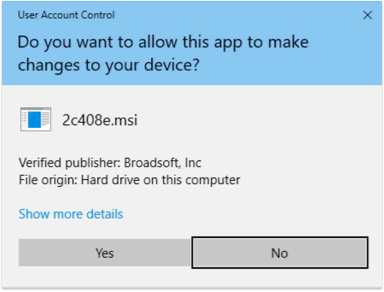 Select a Start Menu Folder and click ‘Install’ to start setup. 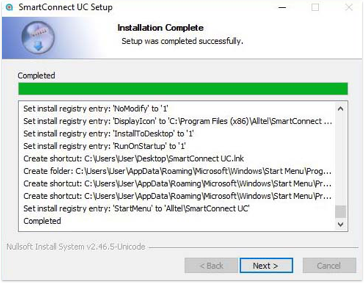 Once installation is complete, click ‘Next’. A window will appear advising that setup is completed. Click ‘Finish’ to launch the SmartConnect® UC Desktop Client.